The use of alcohol is a well-known habit regardless of status and socioeconomic background. Alcohol and pancreas have been long associated causing a major health issue in the worldwide. Pancreatitis from alcohol abuse can be painful and fatal. Approximately one-third of acute pancreatitis cases in the US are alcohol-induced, and most cases have a history of long-term alcohol consumption. 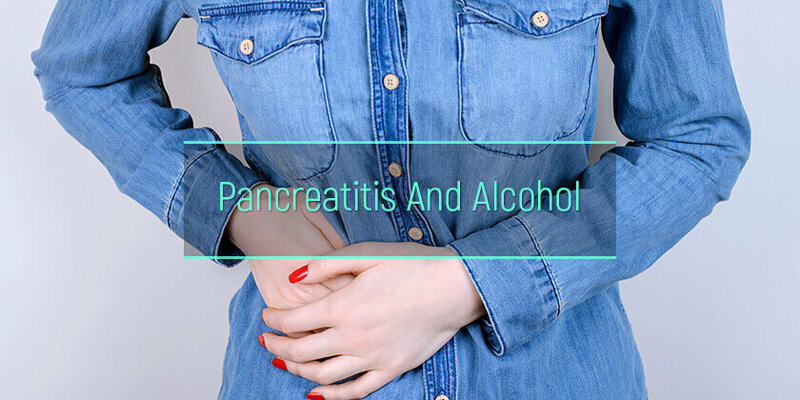 How can alcohol cause pancreatitis? What are the common symptoms of pancreatitis? Is alcohol dangerous for patients with pancreas inflammation? The pancreas is a long, flat gland positioned behind the stomach and lies next to the small intestine. It releases powerful digestive enzymes for easy digestion. It is likewise responsible for the release of insulin and glucagon into the bloodstream to help control the use of food for energy. An inflammation of this gland is known as pancreatitis. Damage to the pancreas can happen if the digestive enzymes are activated long before they are released into the small intestine and start attacking the gland (autodigestion). This is an inflammation of the pancreas that only occurs for a short period of time. Acute pancreatitis is usually caused by gallstones or heavy alcohol use. The most popular theory to answer if can alcohol cause pancreatitis is its spasmogenic effect. It affects the Sphincter of Oddi causing the digestive enzymes to attack the healthy and normal cells inside the pancreas. Other causes may include trauma, medications, infections, and surgery. In up to 15% of cases, the cause is unknown. Signs and symptoms may range from mild to severe. Most patients with acute pancreatitis recover completely after treatment. In severe cases, this can result in bleeding, infection, tissue damage, and cyst formation. Severe cases can also affect other major organs like the lungs, heart, and kidneys. Chronic pancreatitis usually results from long term effects of alcohol on the pancreas. With this type, there is long-lasting inflammation. It usually develops if the patient does not stop drinking alcohol even after the diagnosis of acute pancreatitis. The more that the pancreas is exposed to alcohol, the more severe and consistent the damages become. In approximately 70% of cases, heavy and long-term alcohol drinking is the cause. Other causes would include gallstones, cystic fibrosis, high triglyceride levels, hereditary disorders of the pancreas, and medications. In about 20-30% of cases, the cause remains to be unknown. Symptoms may occur suddenly or after years. The pancreatitis alcohol death rate is approximately 36% higher as compared to that of the general population. Around 50% of patients die within 20 years of onset of the disease. Most deaths are related to the effects of alcohol and smoking on other organs like the liver. There are some positive effects of alcohol that cannot be denied. People use them for recreation and to feel relaxed and calm. However, it does not do any good for the pancreas when taken in excessive amounts on a regular basis. Despite years of studies, the pathogenesis as to why does alcohol cause pancreatitis remains to be elusive. Studies have been hampered because not much is known about the earliest alcohol effect on the pancreas and obtaining tissues for examination is quite difficult since it is relatively not accessible considering its position in the abdomen. However, epidemiological studies clearly show a connection between alcohol and pancreas. There is an increased risk of developing either acute or chronic pancreatitis with alcohol consumption. More so, recurrence of acute episodes is highly dependent on the level of drinking. Those who regularly drank more than 35 units of alcohol per week, which is equivalent to approximately 16 cans of beer or four bottles of wine, were four times more likely to develop acute pancreatitis than those who never drank alcohol. The earliest studies about effects of alcohol on the pancreas were focused on the Sphincter of Oddi (OS). The hypothesis for most studies was that alterations in SO motility due to alcohol exposure plays a major role in the development of pancreatitis. There is an increased SO tone, also known as the spasmogenic effect of alcohol, which leads up to backup of pancreatic enzymes into the unprotected tissues of the gland. Instead of going to the intestines to digest food, these enzymes “autodigest” the pancreatic cells themselves. Another theory was that backflow of bile or contents of the duodenum into the pancreatic duct can cause pancreatic damage. However, there are no convincing data to prove these theories. In the 1907s, researches also found some causes concerning the small pancreatic ducts. Blockage in the small pancreatic ductules by protein plugs have led to damage, upstream pressure, atrophy, and fibrosis. Alcohol can induce pancreatitis by causing small pancreatic ducts to be blocked protein plugs. Protein plugs are composed of pancreatic digestive enzymes and two other important pancreatic secretory proteins – lithostathine and GP2. Pancreatic Lithostathine forms 5-10% of pancreatic secretions. It inhibits the deposition of calcium from pancreatic juice; hence, a decrease it is level could really promote calcification of protein plugs. Also, enzymes can convert lithostathine to lithostathine S1, which forms deposits spontaneously in pancreatic juice, forming a starting point for more protein plug formation. Pancreatic GP2 is another protein consistently found in calcifications from pancreatic ducts of patients with alcohol-induced pancreatitis. With stimulation like eating, GP2 is discharged together with digestive enzymes from the acinar cells. GP2 aggregates in pancreatic juice and can encourage further protein precipitation. Other researchers looked into the direct toxic effects of alcohol on the pancreas. A single acinar cell can produce up to 10 million molecules daily. The acinar cells are normally protected from digesting itself by producing most digestive enzymes in their inactive states and by producing protective enzymes. However, any disruption of these normal protective mechanisms can result in “autodigestion,” as mentioned earlier. The metabolism of alcohol to toxic substances also plays a major role. One by-product of alcohol metabolism is the generation of reactive oxygen species (ROS) or free radicals. These are unstable molecules that can cause damage to cell membranes, proteins, and DNA through the process of oxidation. If there are an increased ROS level and a concurrent depletion of anti-oxidant factors like scavenger glutathione may cause oxidant stress within cells. This has been demonstrated in experimental studies, both in animals and humans with cases of alcohol-induced pancreatitis. Alcohol metabolism by the liver also produces toxic metabolites like acetaldehyde and Fatty Acid Ethyl Esters (FAEE). Acetaldehyde can bind to liver proteins, altering its function and inducing a damaging immune response. FAEEs can disrupt cell membranes within a cell. The same metabolic events happen and this how does alcohol affect the pancreas. The signs and symptoms of pancreatitis can vary, depending on which type one experiences. Acute pancreatitis would most likely present with upper abdominal pain, which may radiate to your back and feel worse after eating. Fever, nausea, and vomiting are also common. 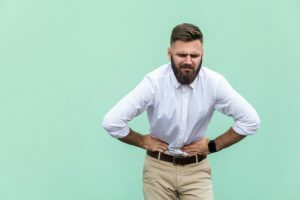 If the stomach hurts after drinking, it can also be one of the common symptoms of pancreatitis, but it is usually associated with weight loss and steatorrhea, an oily, foul-smelling stool, caused by malabsorption. The difficulty of breathing and shock may also develop. Poor absorption of food happens because the pancreas is not releasing enough enzymes to digest food. Also, diabetes may develop if the insulin-producing cells of the gland are affected. Exocrine pancreatic insufficiency develops early in the clinical presentation of pancreatitis, which may progress, especially with continuous consumption of alcohol. The damage to the pancreas becomes more rapid and severe causing chronic alcohol pancreatitis. There will be continuous inflammation. Gradual loss of digestive and insulin functions will eventually cause malabsorption, weight loss, and malnutrition. Diabetes is also a major complication. Alcohol interferes with the body’s natural ability to keep the blood sugar level stable. Different types of alcoholic drinks have different levels of carbohydrates, though, and patients can be affected in several ways. With continuous consumption of alcohol, the liver is being prevented from producing glucose, which can cause extremely low blood sugar, also known as hypoglycemia. If not given attention immediately and properly, this can be fatal. A lot of patients also develop hypoxia because cells are not receiving enough oxygen. Excessive vomiting after drinking alcohol could also be a complication. Others show a relation between the development of a cyst on pancreas and alcohol. Some patients cause fluid and debris to collect in cyst-like pockets in the gland. If they rupture, there will be an infection and internal bleeding. The increased risk of pancreatic cancer is being linked to heavy alcohol users who drink 10-12 standard drinks per every day. The mainstays of treatment for pancreatitis caused by alcohol may include bed rest of hospital admission, pain relief, IV fluids, and nutrition. Other treatment measures like the use of enzyme inhibitors to reduce the corrosive effects of the digestive enzymes in the pancreas are not yet of proven benefit. Also, it is not yet fully established whether protective antibiotics have any place in the standard treatment procedures of pancreatitis, though two controlled trials of prophylaxis in severe cases have shown a significant reduction in secondary systemic infection. But prevention is better than cure! The single most important thing a patient can do to avoid the development of the disease o stop its progression and reduce its painful symptoms is to stop drinking alcohol. Some patients with chronic pancreatitis have already developed a dependency on alcohol and would require an alcohol use disorder treatment plan. Ask for help and enroll in the alcoholism treatment center to prevent the possible severe complications.